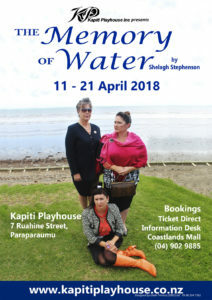 The Memory of Water - Kapiti Playhouse Inc.
Three sisters; Teresa, Mary and Catherine, come together before their mother’s celebration that she is dead, each haunted by their own demons; in which the play focuses more on how each sister deals with the death and how it directly affects them. The three each have different memories of the same events, causing constant bickering about whose memories are true. 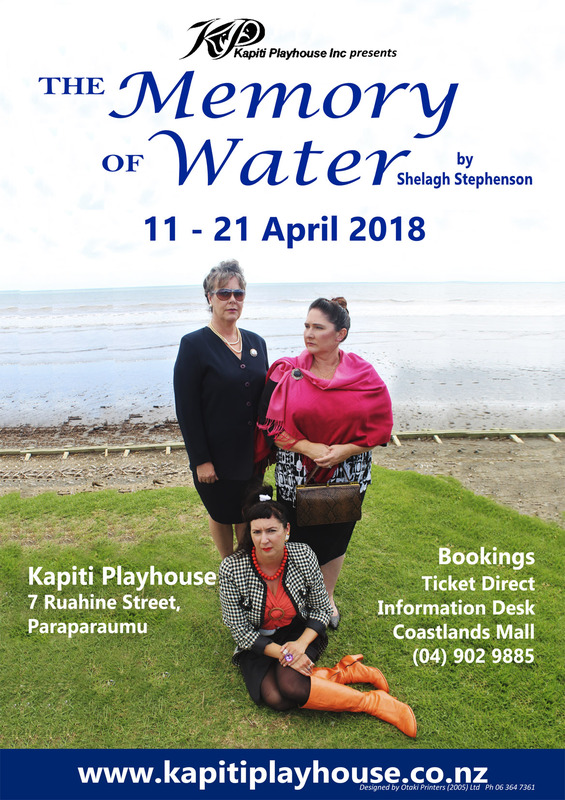 As the three women get together after years of separation, all their hidden lies and self-betrayals are about to reach the surface.